Looking to have a STEAM experience as a drop-in? 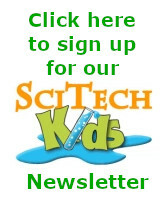 SciTech Kids now offers Mini Maker drop-ins starting in January. Drop-in hours are currently Saturdays and Sundays at 9 AM, 10 AM and 11 AM. The hours may vary due to in-store classes, events and private birthday parties. Please call ahead for availability. Walk in prices start at $25 which includes the cost of the item, time and materials. Items are ready to take home as soon as you finish! 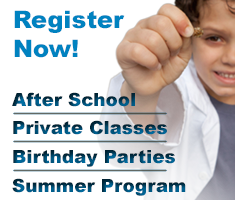 Projects are designed for children ages 4 to 14. Examples of projects include designing bridges, architectural models and DIY catapults.